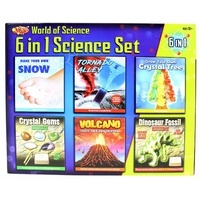 Make Your Own Snow, Tornado Alley, Crystal Gems Digging Kit, Volcano Eruption Kit, Grow Your Own Crystal Tree and Dinosaur Fossil Digging Kit with this World of Science 6 in 1 Science Set. 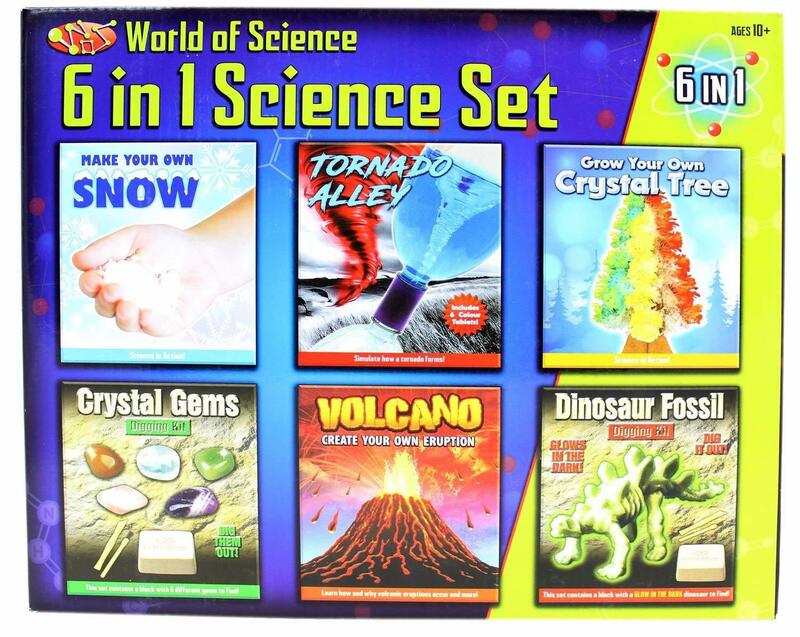 The fantastic science set is designed to introduce your child to the world of spectacular science and dazzling discoveries. 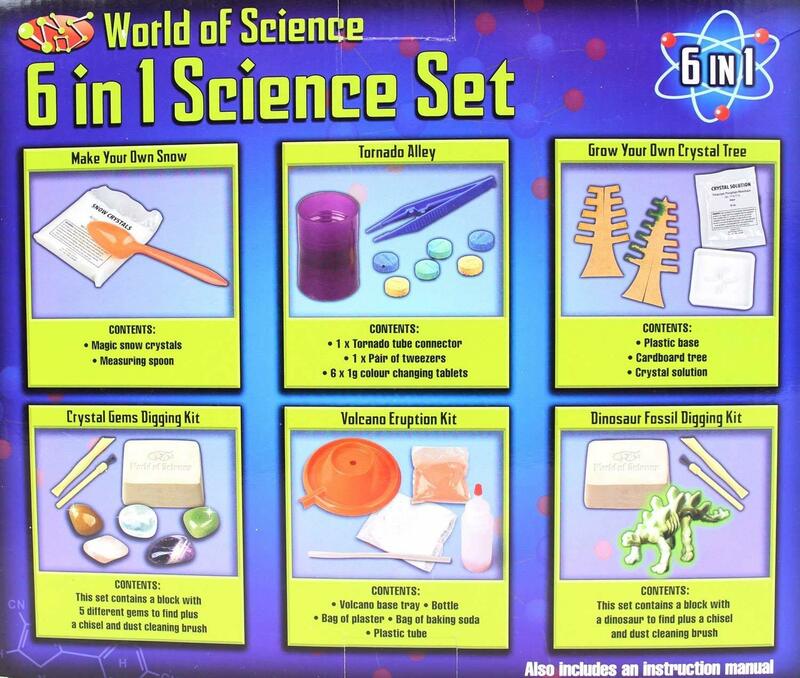 The includes 6 experiments and activities for your budding scientist to experience! 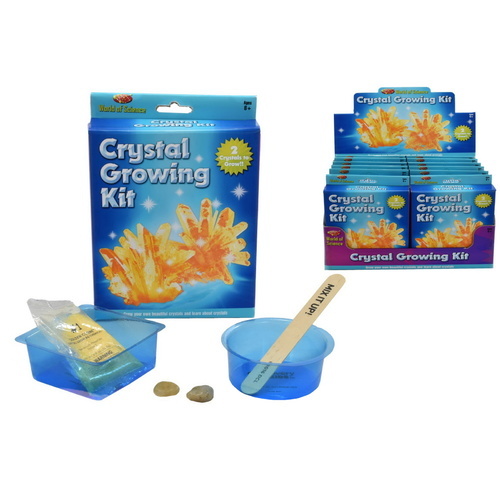 Make Your Own Snow - Contents: Magic snow crystals - Measuring Spoon. 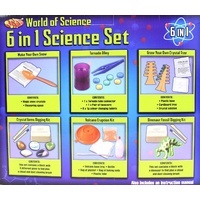 Tornado Alley - Contents: 1 x Tornado tube connector.- 1 x Pair of tweezers - 6 x 1g colour changing tablets. 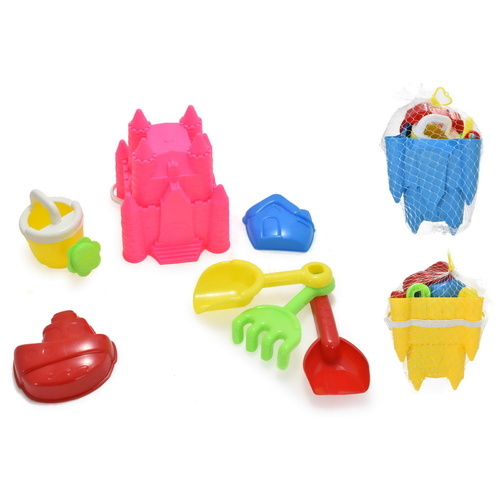 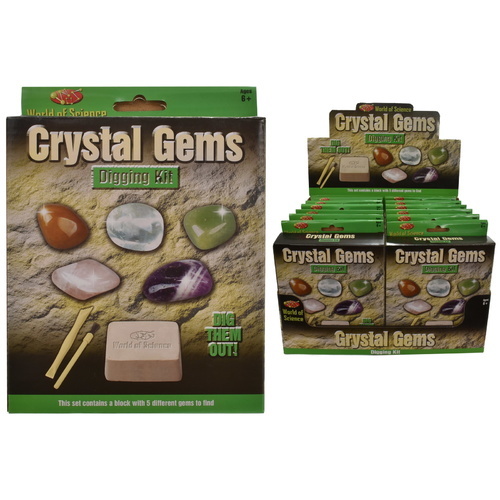 Crystal Gems Digging Kit - Contents: This set contains a block with 5 different gems to find plus a chisel and dust cleaning brush. 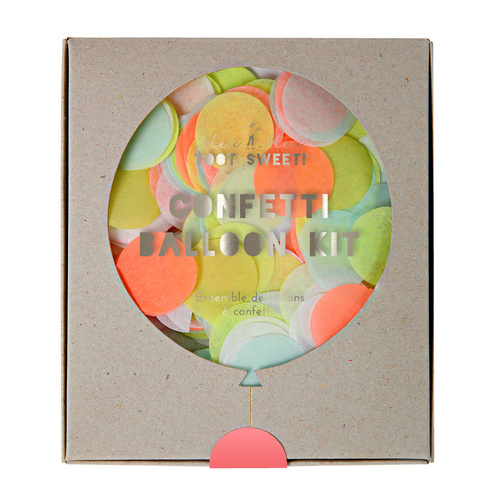 Volcano Eruption Kit - Contents: Volcano base tray - Bottle - Bag of plaster - Bag of baking soda - Plastic Tube. 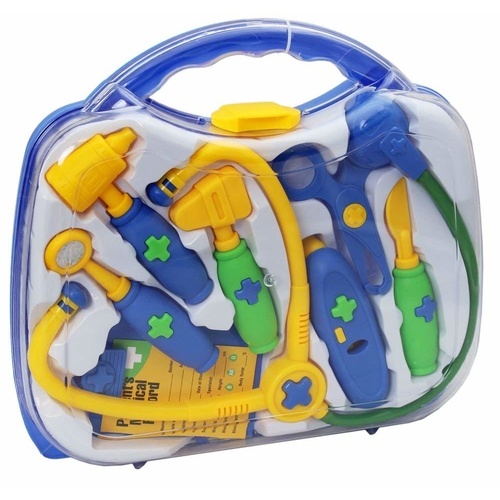 Dinosaur Fossil Digging Kit - Contents: This set contains a block with a dinosaur to find plus a chisel and dust cleaning brush. 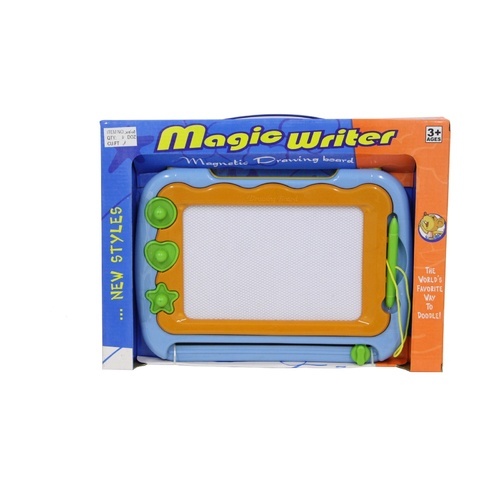 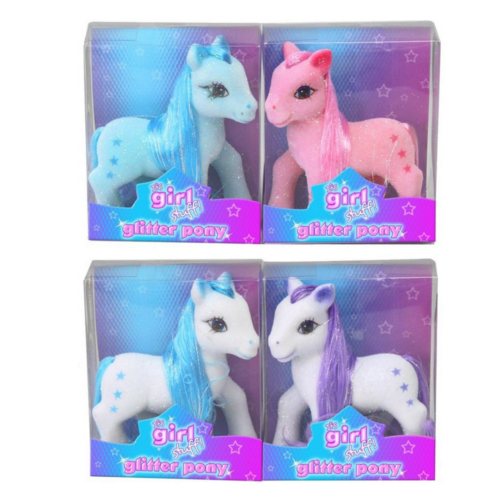 All boxes include instruction manuals.